A Great Product at an Affordable Price – Free. We provide POS/eCommerce integration to companies of all sizes in nearly every corner of the world. 24Seven Commerce is the leading global provider of Integration-as-a-Service. Our cloud-based Integration Platform is backed by more than 15 years of eCommerce integration experience. Our Integration Service is Free? How? The average Return On Investment is less than 90 days. Integration drives growth & Scalability. Let us show you the numbers. 24Seven Channel integration between our POS and Amazon has empowered us to increase our presence on Amazon and sell 10 times more. The more product I have, the more I sell. Now I am able to manage thousands of Amazon items. There’s no question – you have to have this digital backbone if you want to sell on Amazon or any other online marketplace. 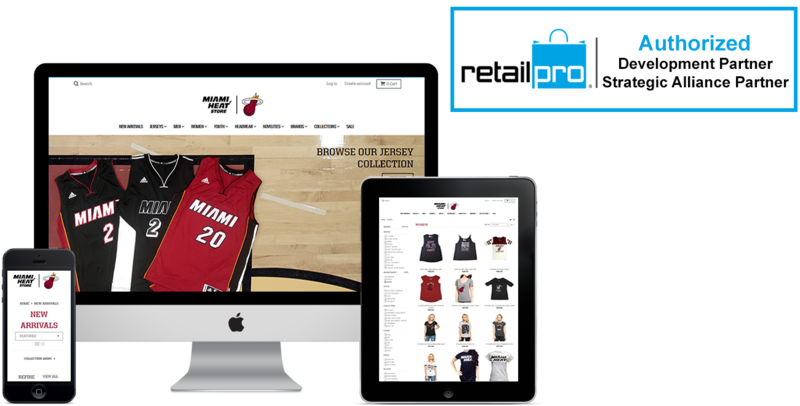 24SevenCommerce enabled The Miami HEAT Store to optimize our online operation using a Retail Pro back-end and Shopify front-end. The result was an overwhelming success which resulted in an improved user experience, reduced site management time, faster iteration and lower operating costs. Anil and the team went above and beyond with white glove service to ensure we were ready for the season. Having spent fifteen years on Yahoo!store, we desperately needed an inventory and order management solution that integrated with our point of sale, Retail Pro version 8 and a modern ecom solution like Shopify and marketplaces like Amazon. We picked 24seven and couldn’t be more pleased with the results. We increased our presence on Amazon from a handful of manually managed skus to hundreds of skus, all managed by 24seven automatically. We experienced a 2,300% increase in Amazon sales year over year during the holiday shopping season of 2016. We were able to transition off our antiquated Yahoo!Store, and start new with Shopify. The new store is fully integrated with our POS for inventory and orders via 24seven. Our order processing efficiency for both Amazon and Shopify orders was quadrupled by eliminating the need to re-key orders, not to mention eliminating clerical errors. Coupled with a turn-key integration between Shopify and our shipping partner, Shipbob, we now have the inventory management and order processing and fulfillment efficiencies to stay competitive and even compete against much bigger players in our retail space. And compete we do! We have great hope for the future of our online sales channels. Thank you 24seven for making it possible. We are delighted to recommend your services. Change POS data once, and watch it update everywhere – on your Website, Amazon, eBay, Google Shopping. We simplify multichannel sales for brick-and-mortar businesses selling online. 24Seven Channel integration automatically synchronizes inventory across all marketplaces and physical locations, providing better operational efficiency. 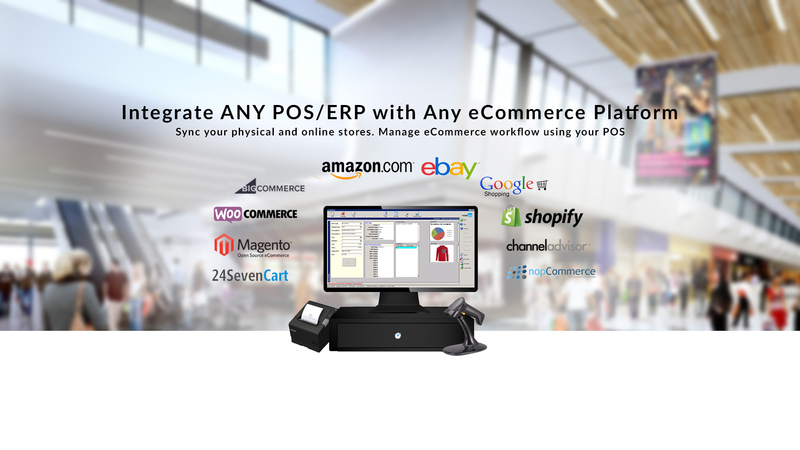 24Seven Channel is an easy to use, cloud-based platform that links a merchant’s existing webstore, POS system and back office applications with market places. We enable multiple solutions to work together, optimizing inventory, streamlining operations and reducing man power. Leverage eCommerce and marketplaces as an extension of your retail store. A sales & marketing platform for creating brand awareness and driving more foot traffic to your brick-and-mortar locations. Become an e-commerce hero! Enable your retailers and brands to connect their inventory to an automated feed that sends their product catalog data to multiple e-commerce channels. Partnering with 24Seven Commerce helps you create new services, strengthen customer relationships and grow your business. We focus on complementing your solutions and services to extend your value proposition and enable new market conversations. Our business is streamlining your business.